Today the University of Notre Dame filed a legal challenge against an Obamacare regulation that requires health care plans to include abortion-inducing drugs, contraceptives, and sterilization procedures. Many religious institutions, including Notre Dame, object on religious or moral grounds to providing, paying for, and/or facilitating insurance coverage that includes abortion-inducing drugs, contraceptives, and/or sterilization procedures. Notre Dame’s lawsuit is one of 12 lawsuits filed today by 43 plaintiffs against the Obamacare regulation. In addition, several other institutions have already filed lawsuits seeking protection for religious freedom. Plaintiffs challenging the Obamacare mandate in court include Catholic institutions, Protestant institutions, business owners who are religious, and several state governments. Further, one religious university recently announced it will no longer offer a student health insurance plan, because Obamacare would require the plan to include goods or services that violate the institution’s religious beliefs. The United States Conference of Catholic Bishops has called the Obamacare mandate an “unprecedented” violation of religious freedom by the federal government. The mounting pressure highlights the ongoing potential for centrally driven health care policy to conflict with conscience. That leads to a longer-term question: whether religious institutions will be able to withstand the increasing crush of federal regulation that reaches ever more deeply into realms of private choice and decision-making. 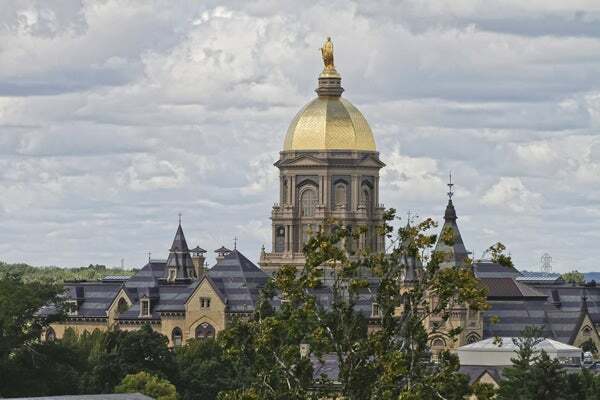 The particular regulation challenged by Notre Dame and others is just one small part of a gigantic statutory and regulatory scheme that is still being implemented. Those who seek to defend religious freedom should make common cause with those who defend freedom in general. A society that abandons its moral and political commitment to freedom in general will become less willing and even hostile to protecting religious freedom in particular.